The highest quality needles from Korea are now within your grasp. Upgrade your needle craft, bring butter-like ease of insertion painlessly into your practice. Reduce your clinics carbon footprint, Dana’s packaging is fully recyclable. 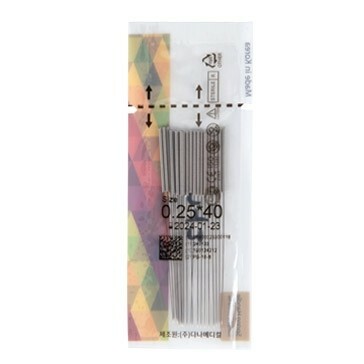 Dana’s easy tear pouch, once torn and held in hand, acts as a sterile barrier between the needles themselves and the user’s fingers, thus eliminating the chance of needle contamination. Tan, Tung, Zhu, Doane and freehand needling aficionados love the convenience of having 20 needles at hand, allowing faster, easier needling without excessive waste nor the fumbling of blister packaging. Rest assured you’re helping the environment as there is NO TUBE and the pouch and packaging is fully recyclable. Dana Medical boasts the largest clean room facilities in South Korea, ensuring minimal handling and absolute sterility. Quality assurance is guaranteed through ultrasonic needle purification and high-pressure cleaning, producing an ultra-clean product. *First customer 10% off discount does not apply to Dana products. 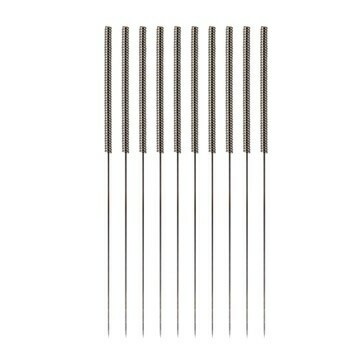 Dana Medical acupuncture needles are manufactured using the most advanced technology available today. Ongoing technological advancements within Dana’s research and development department has seen the implementation of no less than 14 patents, producing a product that not only raises standards of acupuncture needles, it is a needle that others can only aspire to. Dana acupuncture needles bare compliance and approval with Australian Therapeutic Goods Administration (TGA), FDA, KGMP, CE, ISO 9001/14001, ISO 13485 guidelines and regulations. These certifications ensure every needle is finished to the absolute highest quality. San Acupuncture Supplies are proud to partner with Dana Medical as the exclusive Oceanic distributor & representative. We welcome all enquiries! If you’d like to become a distributor, please don’t hesitate to contact us.